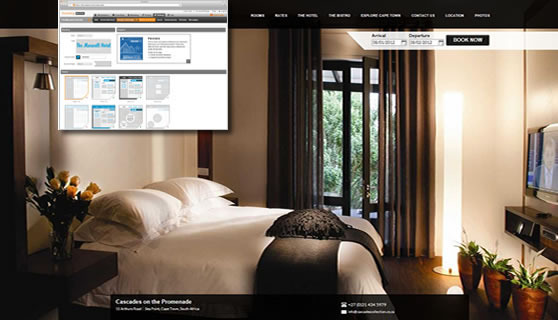 Design Concierge is a multi-tier templating system for hotel web presence and mobile presence. 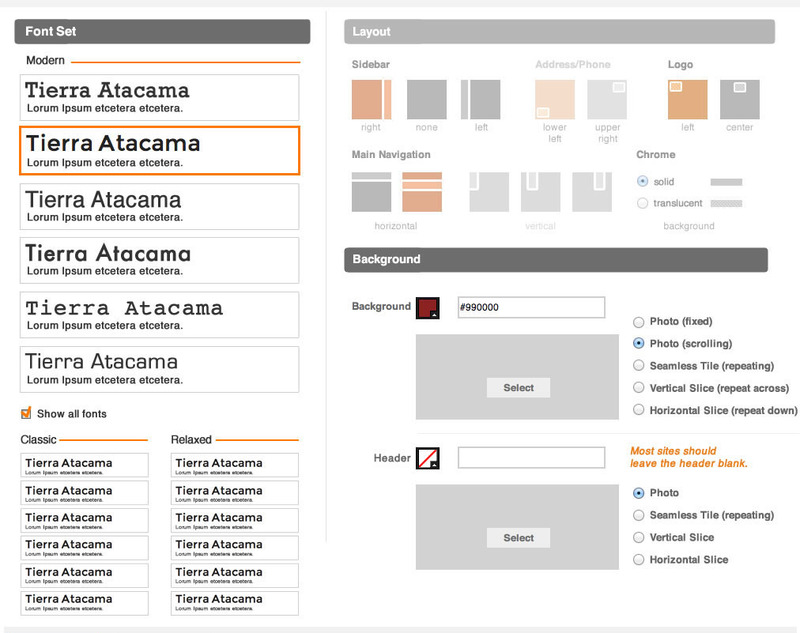 It uses a combination of "Blueprints", Themes, and settings to customize the presentation in a way that ensures good design principles are enforced. 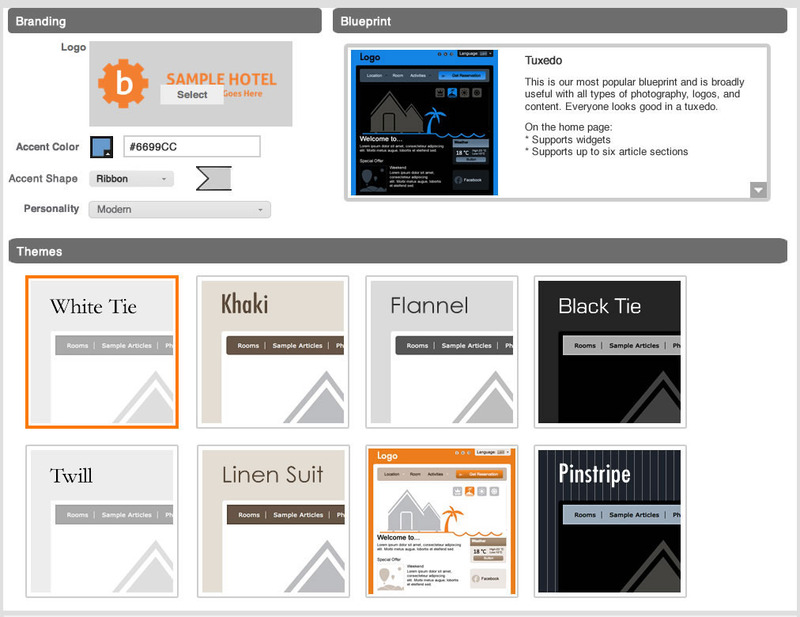 buuteeq is a startup that provides a SaaS platform to help hotels with their marketing. It includes a hotel-specific CMS that allows marketing managers and hoteliers to create and manage their own marketing content, desktop/mobile websites, and promotions. The original platform had been built by an agency in China, and although they had built out a pretty deep platform, the websites it created looked similar, had too many things for the customer support group to setup, and gave users too much leeway to make bad design decisions. Chief Experience Officer. I was hired to drive the design, usability, and usefulness of the products and to recruit and manage the UX, visual design, and front-end dev teams. For this particular issue, I envisioned a three-tiered approach to templating that would give significant variety while limiting the types of choices that were causing users problems. The top tier was the Blueprint, the website archetype. The second tier was the Theme, the look and feel and color scheme of the site. The third tier was Branding Details—customization settings that are heavily pre-vetted to look good and work well together. The original system, for instance, had users (or customer support) attempting to pick thirteen independent colors that hopefully would work together. The new system asked them for a single Accent Color and then used alpha blends of black, white, and the accent color to render a more harmonious color palette. We similarly ran through hundreds of open source fonts to find good pairings and created the concept of an Accent Shape that would similarly add more variety while still guaranteed to fit with the rest of the site. Interviewed the various stakeholders to find the real problems, analyzed the data, enumerated the goals, created an overview deck, created sketches, wireframes, and comps. Documented and illustrated the requirements and specs. Worked with designers, product managers, and developers to get the new system and the new Blueprints and Themes built. Removed design as a blocker for the higher end market, doubling the customer base in a year. Reduced the time and complexity of branding new customers by half. Increased the general quality of sites by removing bad options. Cut design-related churn in half.